Love Bakes Good Cakes delivers delicious and simple family-friendly meals. Find everything from healthier recipes to over the top desserts! This post contains affiliate links. For more information, visit my disclosure page. 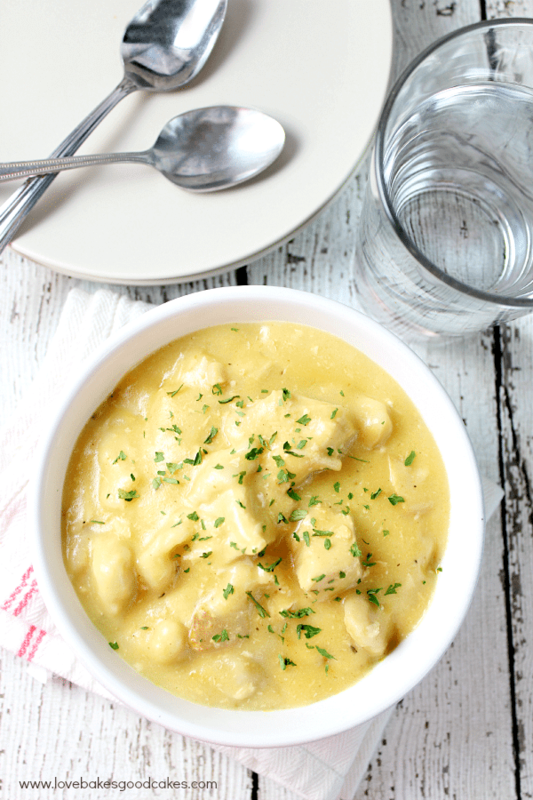 Comfort food doesn’t get any easier than this Slow Cooker Chicken and Dumplings! 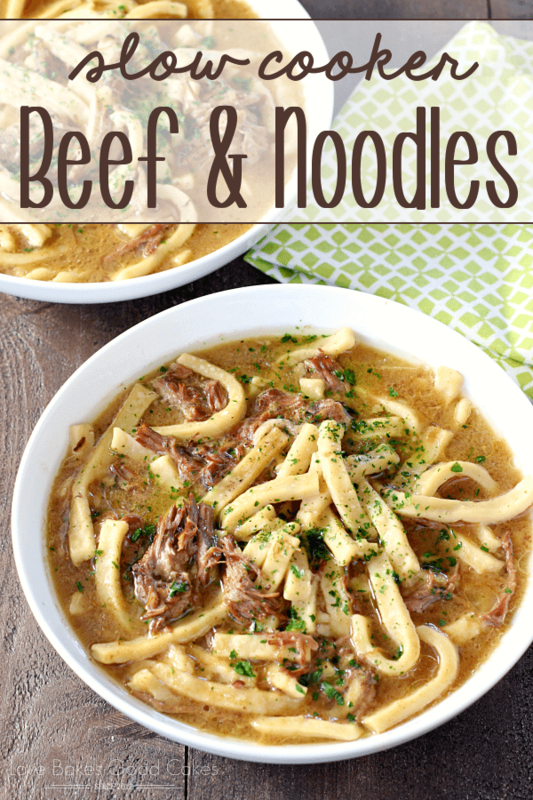 It’s a hearty and delicious recipe that will have your family begging for more! 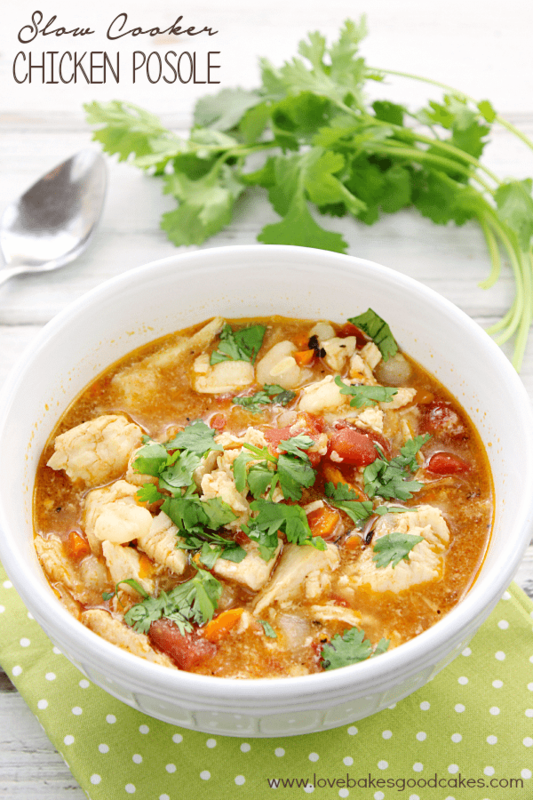 This month’s 12 bloggers theme is slow-cooker soups. As soon as I saw the theme for this month, I knew what I wanted to make. 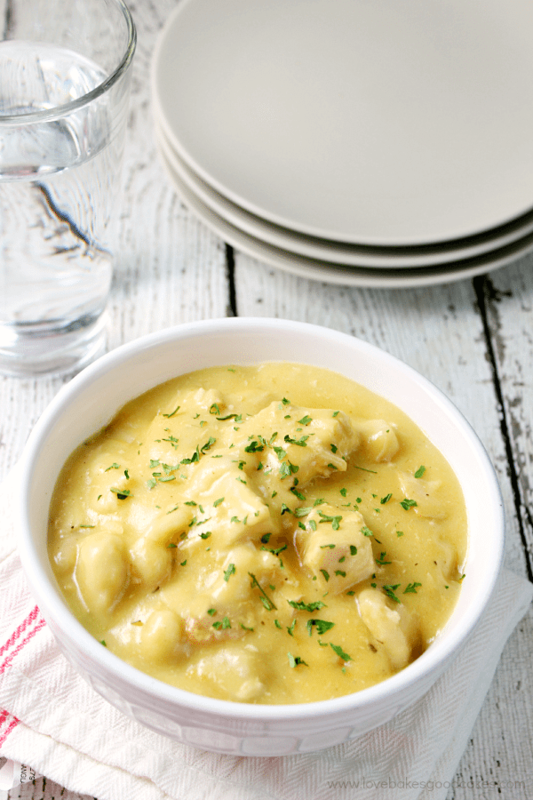 This Slow Cooker Chicken and Dumplings is one dish my family loves when the weather is cold – there’s just something about comfort food to help warm you up! If you have never used biscuits to make dumplings, you may be a little skeptical – but let me assure you, it really works! I will mention, if your slow cooker cooks hot, be sure to check on your dumplings early. One of my four slow cookers cooks the biscuits really fast so I have to shorten the cook time by about 20 minutes. This dish is always a hit with my family – I hope you enjoy this as much as we do! Place the chicken in a slow cooker. Sprinkle with the poultry seasoning, paprika, and pepper. In a medium bowl, whisk together the 2 cans of soup, chicken broth, and water; pour the mixture over the chicken in the slow cooker. Cover and cook for 5 to 6 hours on HIGH. About 90 minutes before serving, remove the chicken from the slow cooker and roughly chop into pieces. Return the chicken to the slow cooker. Add the torn biscuit dough, pressing down gently to make sure they are all submerged. Cook until the dough is no longer raw in the center. To serve, sprinkle with chopped parsley. If you have a slow cooker that cooks really hot, be sure to check on the dumplings early so they don't overcook. All images and text ©Jamie Sherman for © Love Bakes Good Cakes. Please do not use my images without prior permission. If you want to republish this recipe, please re-write the recipe in your own words, or link back to this post for the recipe. Don’t forget to pin it! 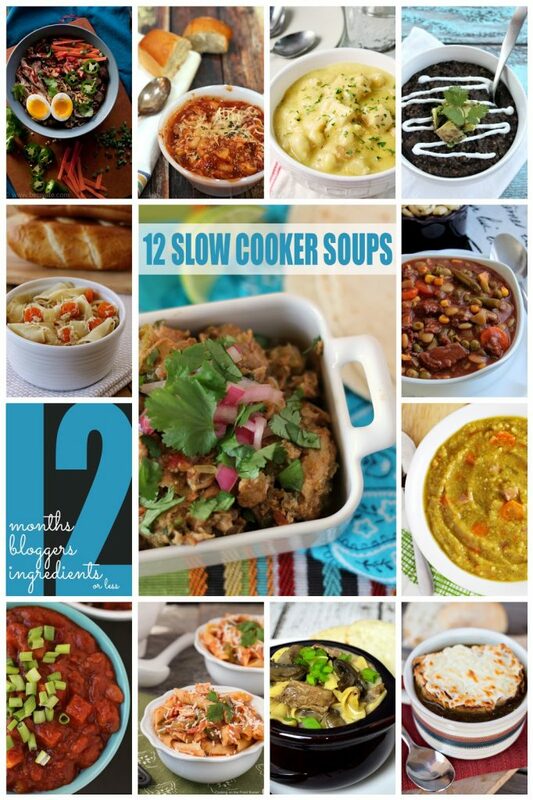 For more great slow cooker soup recipes, be sure to check out the other participants in the #12bloggers series …. there are so many yummy choices, I don’t know which one I want to try first! This looks fantastic! 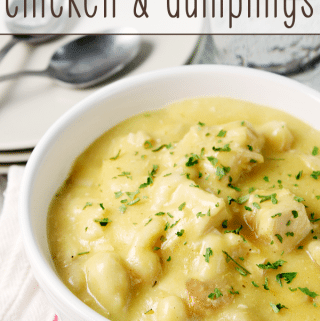 Chicken and dumplings is a total comfort food for me and I love that you made it in the slow cooker! YAY for starting a new blog! I have a 2nd blog URL but I haven't actually done anything with it haha. Jamie, I love this soup recipe you selected! It looks so hearty and I could use a bowl tonight! I use my slow cookers all the time, but especially this time of the year. Their is nothing more comforting than a bowl of warm soup and nothing easier than fixing the soup in a slow cooker. One of my favorite things to make is a slow cooker Chicken N Dumplings, People will truly enjoy your recipe it looks truly warm and delicious. These all look good. It is a cloudy cold day here. I'm going home at lunch and put the Chicken Posole together for dinner tonight. Oh, man, I need this right now. 😛 It's the perfect day for some comfort food. Pinning and stumbling! Found you on Showcase Your Talent. Thanks for sharing! This looks absolutely delicious! 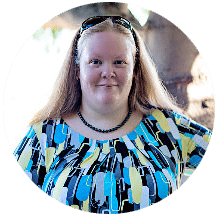 I love all the things you are working on, including the new blog! So exciting! You amaze me, Jamie!! OMG, this looks amazing!! I still need to learn how to use my slow cooker more, one of these days! 😉 Congrats on the new blog, I'll have to go check it out. Cook the chicken 5-6 hours (or longer) … about 90 minutes before you're ready to eat, add the torn biscuits. I hope that thelps! I've never had chicken and dumplings :/ In SA we like to use beef – will definitely give your recipe a try ! 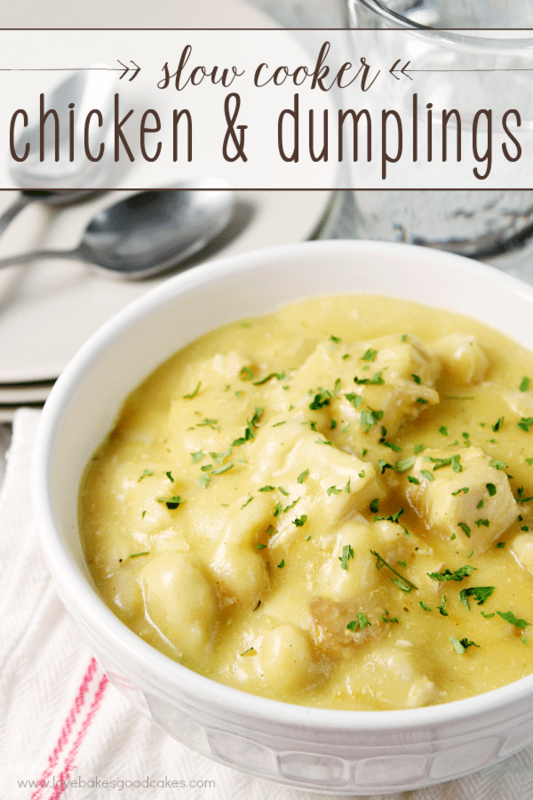 I think Chicken and Dumplings is one of my hubby's faves! I need to make him this very sooon!!! Jamie could I substitute the chicken breast halves with canned chicken breast chunks? On a budget we just moved and not a lot of food in our house yet so this is a good recipe for us! Do the chicken breasts need to be thawed?? This was SO GOOD! I eliminated the paprika and used garlic and onion powder. I tried this tonight and it was a bit too salty for my taste. I think next time I will use water in place of the chicken broth (I used reduced sodium chicken broth) or reduced sodium cream of chicken soup. Maybe add some peas and carrots. I only used 1 can of the torn biscuits because there wasn’t any more room in my slow cooker. I added some baby yukon potatoes in it. My company and I still went back for seconds though! Thank you for sharing. What is the amount of chicken in pounds? How long on average does it take the biscuits to cook all the way through? Trying this today and can’t wait! I don’t have chicken broth. Can I use vegetable broth instead? Hey y'all! I'm Jamie. 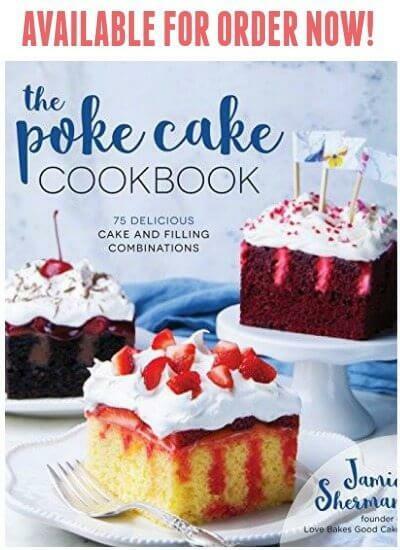 Welcome to Love Bakes Good Cakes where I focus on family-friendly recipes. I believe food is best when shared with family and friends - and dessert is always encouraged!